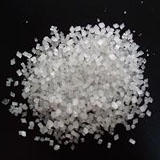 China Sodium saccharine Suppliers, China Sodium saccharine Manufacturers. Used in toothpaste, shoop saliva, eye drops in daily Chemical industry . As plating brightener in electroplating industry .